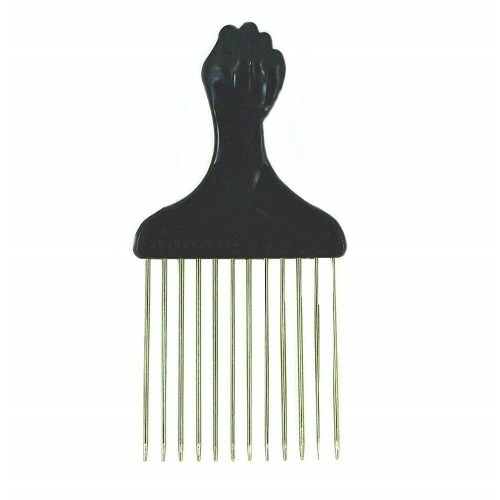 A small sized metal afro pick, great for keeping your afro tame. The teeth are straight and are 6cm long. 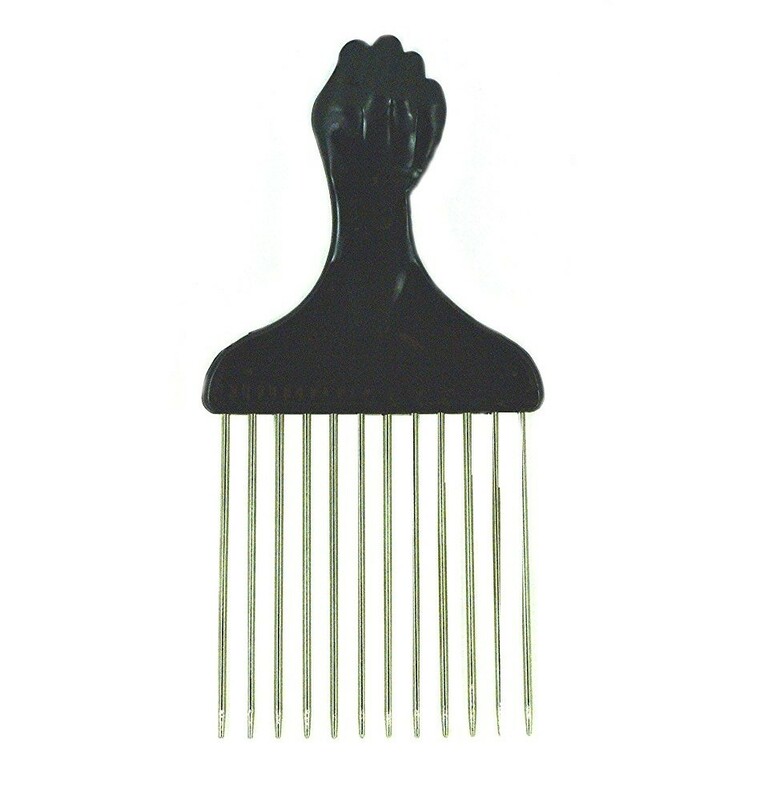 The width of the pick is 7cm The handle is shaped as a fist.